Websites have become a need of the day. A website, today, is more than carrying a business card to every business meeting. A website contains all the information about your business and is a perfect e-source representation of your services. We at PreciseIT create simple, easily navigated websites and absolute user-friendly sites and ensure that your website loads faster and launches at a quick rate. Time constraint while designing the website is one of the key factors we keep in mind. Online shopping is another trend today. If a customer can get good deals in the comfort of his/ her home, just at the click of a mouse, then nothing like it. Grow your business with our outstanding e-commerce service. We develop E-Commerce websites for all industries: Automotive, Banking, Consumer, Retail, Jewellery & Fast-moving consumer goods (FMCG), Real estate, Education, Engineering & Manufacturing, Food and beverage, Government - federal, state and local, Healthcare, Media, Online, Technology and Electronics. PreciseIT offers you the best E-Commerce solutions for organization, developing and maintaining your professional online presence. Our E-Commerce applications are fully customizable to meet all your needs. We strive to develop the best E-commerce applications combined with user friendly and attractive websites for a great visual & customer usage experience. PreciseIT Solutions is one of the organizations providing best website development in India besides designing websites, shopping carts, ecommerce websites, content management system (CMS), etc. for our clients. Our professional and dedicated working team of web designing and web development work on different fields like web development, SEO, SMO and web designing, which are the turnkey solutions for your business. Our multitalented and multitasking team works on the different web development languages like PHP, HTML 5, CSS3, etc. and frameworks like Wordpress, CodIgniter, Bootstrap, etc. We have finished many successful projects and we always give the best service to our clients. In case of all of our clients, we have seen the smile of satisfaction on their faces, once the project and service has been successfully completed and delivered. 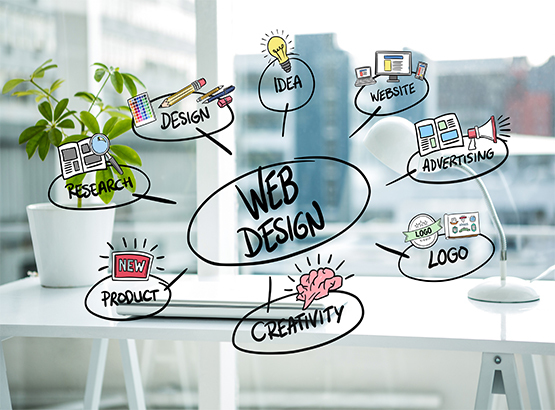 When talking about the web designing, PreciseIT is the best to deliver proficient, innovative, imaginative and inventive work, because our team puts in highly skilful, dedicated and enthusiastic work on every project and creates very unique designs in every case. PreciseIT is everything you need to get an Awesome Development! Client Satisfaction is our Primary Objective.